Behind the Desk is a monthly series in which I interview amazing published authors, librarians, teachers, book designers, etc. so that we can learn more about the intricacies, struggles, and excitement that goes on in the world of books and literature. Feel free to contact me with suggestions for future interviewees! Rabbi Marc Katz is that rare person who can go from teaching a room full of restless children to a room full of work-weary adults, speak passionately about the environment and feminism and then relate them to Torah passages, and lead a powerful sermon before telling you in detail where you should go for pizza in Park Slope. Marc is the Associate Rabbi at Congregation Beth Elohim in Brooklyn, has published a number of articles, and his first book came out in September, The Heart of Loneliness: How Jewish Wisdom Can Help You Cope and Find Comfort. Here, Marc talks about what it's like to be a first-time author, the struggles of self-marketing, how loneliness seeps into all of our lives, and the ways in which we can reach out for ourselves and for others. You're a Jewish scholar and you've written a number of articles for various publications. Had you always wanted to write a book? How did the process come about in terms of envisioning The Heart of Loneliness and then bringing it to life? Funny enough, I’ve always wanted to write a book, but I never thought that I would write one so early in my career. A few years ago, I was going through a divorce. In most divorces there is a brief period where you are not public with the information and only your most inner circle knows what is happening. I found myself at Yom Kippur right at the time when my marriage was falling apart, but when very few people knew my secret. This was one of the loneliest times in my life. Since I have often used sermons as a platform to explore the hard issues I am facing in life, I wrote the sermon I needed to hear at that moment. The sermon dealt with the many people who are lonely in our community and what we needed to do to help them. Soon after, a friend was putting together a series of ELI talks (Jewish-themed talks in the style of TED talks). Since I had just delivered this sermon and received good feedback, I decided to focus my 10-15 minute talk on loneliness. I flew to Chicago and gave it, thinking nothing else of the opportunity. Then, a few years later, one of the editors of Jewish Lights Publishing came across the talk and contacted me. They said that there was no accessible book that addressed loneliness in Judaism. Some had touched on the topic peripherally through exploring issues of loss or sickness, and others, like Joseph Soloveitchik’s The Lonely Man of Faith, were beautiful but too philosophical. I submitted my proposal (an introduction, a sample chapter, and an outline of the project) and it was accepted. What do you now know about the publishing and editing world that you'd like to pass on to writers in similar positions? My process was somewhat unique. I didn’t have an agent and didn’t need to shop the book around because it was commissioned. Also, right before publishing, Jewish Lights was sold to a small press called Turner Publishing. I’m still learning how to market my book (and discovering just how hard it is). Writers can't rely on their publishing house to do all or even most of this work for them, and it’s really hard to be your own best advocate. To most, the self-promotion that is required to sell books seem unnatural. Nevertheless, I have been pleasantly surprised by the support my friends and family have given to me; as much as I feared their judgment, they have been open and supportive throughout the process. We often assume we are bothering them when we post and write about our book, but they have more patience for our efforts than we assume. They are usually hungry for avenues to give us support. The one piece of advice about writing and editing I can give would be to just keep writing, even if you hate what you produce in the moment. I basically wrote the book in six months because everyday I forced myself to produce at least 500 words (even if later I only used a few lines from it). Have a very strong outline of the whole book in your head and let your mind wander through the day. If I was working on chapter 4, and I wasn’t inspired by the content, I would table the chapter. Then, usually that same day, I would read something that I would want to use in a later chapter or remember a life experience I wanted to explore in a different section of the book. Being able to bounce around chapters, writing about one subject one day and a totally different topic the next, freed me up to be constantly enthusiastic about my content. It also gave me space so that when I would return to each half-written chapter, I had fresh eyes and could edit along the way. This saved me a lot of time later. Even writers who can hide behind the fiction label often feel as if their work puts them on display. Writing about such a personal topic, how did you face this vulnerability during the writing process and once the book came out? I am lucky that I have learned to deal with vulnerability in my role as a Rabbi. Early on in my career, I learned that I can’t expect my congregants to be open about their brokenness and pain if I didn’t also own mine. The key for me when writing this book was to be honest about my struggles while safeguarding the details of these struggles. The two most personal sections of the book for me were my discussions around my divorce and my rabbinic loneliness. When I spoke about the divorce, I tried to keep the spotlight on me. It was important to speak about my shame, my regrets, my fears, without incriminating my ex-wife. One does not get divorced in a vacuum and she was not writing this book. The same was true when I explored the loneliness of serving as a Rabbi. It is often incredibly lonely to be a clergy member. By taking on the mantle of religious leadership, you agree to stand for the weight of the Jewish tradition. Sometimes, you even stand in for God. People don’t see you for you. Instead, you are what you represent. My interactions are colored by this and oftentimes it is hard to feel authentically understood. My goal in exploring this issue was to explain how my congregants' transference affected me, not indict them for it. By keeping the focus on me, I was able to be honest about my struggles while still preserving the anonymity and feelings of those about whom I was writing. The book aims, in part, to give people the courage to cry out to others in their pain. It makes a case for choosing intimacy over silence, honesty over prudence. If I didn’t model that same openness and vulnerability in my writing, my readers would not accept my advice to do the same. We're often told to 'write what you know,' and being a rabbi of a large congregation, you must know a great deal about people's personal problems, fears, and anxieties. How did your interactions with your congregation inform The Heart of Loneliness? What would've been missing from the book without those relationships and how have they changed—both with your congregation and in your personal life—since writing the book? I have been relatively lucky throughout my life. Though I have had loved ones die, I have not lost anyone in my immediate family. Though I have found some professional success, I have not faced the unique loneliness of running a company or managing a business. Though I have been single, I have not faced long periods of my life where I have sought love only to come up empty-handed. Though I have grown older, I have never grown old. However, a true book on loneliness must address the full scope of what it means to be lonely, not just the parts I understand. Through my interactions with congregants, counseling people though their greatest losses, and listening to their greatest yearnings, I have gained a much better appreciation for the whole lifecycle of our struggles. I have been blessed to have couples open up to me about the isolation of aging, sickness, loss, marriage, and divorce. These stories, though not directly addressed in the book, inform nearly every page I wrote. Likewise, many of the lessons that I teach in the book I learned firsthand from my incapacity to fully address my congregants' struggles. It took me a long time to grow comfortable with the truth that I cannot solve others' problems, that presence is more important than platitudes, and that empathy is the pathway to connection. These lessons were forged in the fires of my rabbinic work. Any wisdom that I had to share came from failing and reflecting until I learned how I could do better. It’s hard to learn compassion from a book. I learned the power of presence when I saw firsthand that my absence caused pain. I learned listening when my words got in my own way. I learned to be more humble when I saw the effects of my arrogance. Interestingly, the book created a feedback loop of sorts. I could write it because people trusted me enough to open up about their struggles. Since publishing it, people have read it and felt even more comfortable coming to me for support. I hope that the book will open doors of connection with my congregants and let them know that when they are ready, I want to listen. Was there an area of loneliness you wrote about that ended up surprising you, or that changed your viewpoint on loneliness? I think I struggled the most with writing about the unique loneliness of being perpetually single. In truth, each person's struggle is different. However, when I first wrote about the topic, I missed the point. I explored the struggles of online dating—the abundant choice, the rejection, the crudeness and creepiness faced by many of my female friends. Then, when I showed that section to a few close confidants, they explained that I failed to examine the underlying psychological underpinnings of being single. They shared with me the shame they felt when faced with the prospect of a life alone. They explained the all-consuming obsession their family and friends seemed to have about when they might find someone. They told that despite being successful in all other areas of life their singlehood seemed to be the measure that they were judged by themselves and others. They confessed that they often felt pressure to wear masks to conform to the type of person their potential dates would want to pursue. These friends and family, in critiquing my work, helped me understand how little I knew about what it was like to be single in NYC and the book is stronger for it. You say that we as individuals have to foster a community that allows people to ask for help when they need it, to listen to them when they cry out, and stand with them in their moment of suffering. If a friend or neighbor wants to reach out to someone they think is lonely, what advice do you have for taking those first steps? What are some tangible ways to build that community? More than anything, I would say don't be afraid to approach them. You will never help if you don't open the door for them to reach out. Second, you need to remember that you can't solve their problems. No person is (nor should they be) the answer to one's loneliness. If you are, they have invested you with too much power and the relationship has become unhealthy. Yet, just because you can’t solve their problems doesn’t mean that you can’t be present in their pain. 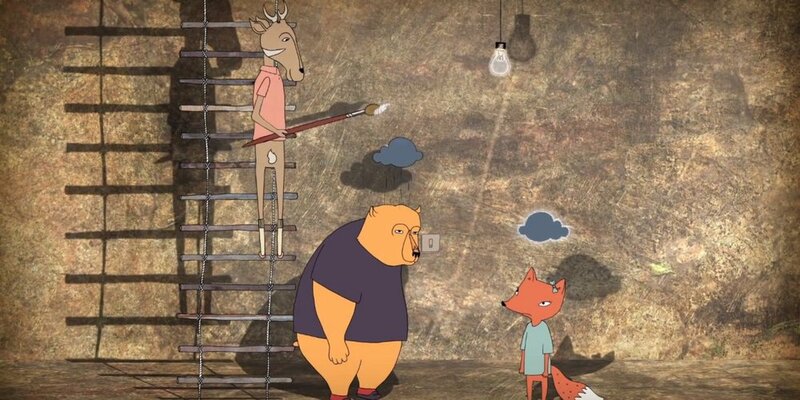 Dr. Brené Brown, "The Power of Empathy"
Brené Brown, one of my favorite psychologists, has an amazing internet short that explains the power of presence through an examination of the difference between sympathy and empathy. Brown uses the image of a person who is trapped in a deep hole for which there is no way out. We wish to help them escape, but we lack the tools, the strength, and the resources to pull them from the chasm. While sympathy is peering down into the hole, giving advice, offering a few platitudes (i.e. it will get better, at least you have friends, I know someone who faced a similar challenge), and moving on, empathy is something much deeper. Those who practice empathy go down into the hole for a little while. They know they cannot fix another’s problem. However, they know how important it is to deal with them. Those who are empathetic seek to walk for a little with another in their suffering. They tread alongside them, hand in hand, through their darkness. To practice true empathy, we need to channel our own painful past. We help a mourner by remembering our painful experiences of loss. We support the divorced by channeling our heartbreak. We comfort the lonely by recalling a time in our life when we were lonely as well. Though it is a powerful way to connect, carrying our former struggles is not easy. We have all faced a difficult struggle or an era of alienation that we would rather forget. But if we are truly to let another know that we understand them, if we are going to let others know that they are not alone in their loneliness, we have to allow ourselves to be vulnerable, opening ourselves up to experiences we wish we could erase. If you remain present in a loved one’s pain, you will send the message that, when they are ready to speak about it, you are there. Loneliness and shame are intertwined. If loneliness is the pain of not feeling fully seen, then anything we hide only widens the gap between the person we know we are and the person others perceive us to be. The more you can let others know that you are prepared to accept their secrets and shame with love and openness, the more ready they will be to let you in and show more of their true selves. We are all part of communities, big and small. The key in each of these communities is to foster this kind of trust and honesty. This kind of comfort can only happen in small groups or one-on-one interactions. So, if your community is large, take time for intentionally-focused gatherings and let one another know that everyone deserves to be seen with acceptance and love. Obviously the audience for your book is primarily a Jewish one, but what would you say to readers who aren't Jewish but are interested in the topic of loneliness? How can a non-Jewish reader approach The Heart of Loneliness? In the first chapter of the book, I speak about four directions to which one should reach when he finds himself in a place of loneliness. These are up, out, in, and back. Through I speak about each in a Jewish idiom, there is nothing Jewish about this teaching. Back: It often feels that we are the only one dealing with our struggles. We think that no one has experienced a divorce or loss like mine. No one can understand my struggles with dating, the challenges of my marriage, the isolation of living alone. However, others have walked the path before us. And in treading upon the same rocky ground, their stories can teach us where we might step and where we might falter. In the Bible, Abraham, Isaac, and Joseph all faced loss in their lives. In the Talmud, Honi and Rabbi Yochanan struggled with the alienation of finding lasting and meaningful friendships. Midrash is filled with stories like Eve and Miriam’s bad marriages. Hagar can become a model of the pain of divorce. However, one does not have to look at Jewish sources to find these companions in pain. History is replete with examples of people who have faced profound loneliness. Literature can be a wonderful source of comfort. Madame Bovary is my favorite book and she is an incredibly lonely character. The same goes for Jane Eyre, Gregor Samsa, and Jay Gatsby. Hearing these stories may not fix our loneliness, but they will teach us that our pain is not unprecedented. In: Focusing inward can be a truly important source of strength when we are lonely. In the book, I outline many approaches. The two I think are the most helpful are finding a sense of purpose and learning to embrace solitude. We need to find our purpose because we need to know we matter. Part of the reason we are lonely is that we invest others with the power to tell us this truth. However, the more you are dedicated to something, the greater your sense of mission, and the less you need others. If you can find a purpose to your days, then your relationships will enhance them, not define them. Learning to embrace solitude is also important. Loneliness is often associated with being alone because when we are freed from the noise of others, then we have no distractions from the self. Many of us do not like ourselves enough to want to spend much time with our thoughts. We think others are more interesting, less complicated, and less harsh. However, if you do the hard work of learning to like (or even love) yourself, then time alone is not a penalty. There are religious ways to do this (just as there are religious ways to find purpose), but plenty of people have learned to do both without the tools of a faith. Out: More than anything, we need to learn to have the strength to cry out to others in our pain. Though I use religious language to make the case for opening up and being vulnerable, there is very little that is religious about this act. We need to know that people want to be there for us and reaching out to them is the first step toward letting them know that we need their comfort and support. Up: This is perhaps the most Jewish of all actions. There is power in looking for spiritual connection. If you don’t feel seen by others, perhaps through your faith you can feel seen by God. However, spirituality comes in many forms. The key is not to invest a Divine being with the power to see you, but to feel part of something bigger than yourself. And you can do this in a myriad of secular ways. We have all had the experience at a concert or rally of seeing the crowd as a living organism. That loss of self and blending into a Oneness is important. Though fleeting, it aids in helping us cope with the isolation of living in this world. Where would you love your writing to take you next? More articles, a fiction book, another nonfiction book...? I will certainly be writing articles about the major themes of the book: loneliness, empathy, finding purpose, community, and truly seeing others. However, I have a number of other ideas for books. No one has written a good character study of Aaron (Moses’s brother in the Torah). There is enough material about him and he has much to teach us about the struggles of religious leadership. I also hope to write a book about why Israel matters to Jews. My contention is that many of us feel a connection to Israel but lack the vocabulary to explain why. Since the birth of Zionism, the Jewish community has sought to explain the relevance of this small piece of land in the Middle East. My hope is that by looking at the way Jews throughout time have answered this question, history might provide the tools for us all to answer ours. Finally, I have written a number of sermons on memory, forgetting, and being forgotten. I hope to someday take this material and turn it into a book. Where and how do you most like to write? I prefer to write in fits and starts. Usually, I write by stealing moments out of my day. Rabbis have odd hours. We often meet people before work and teach in the evening. This makes for very long workdays. Since it doesn’t pay to go home, if I have a few hours without an appointment, I’ll write. I may be at the office for twelve hours, but in that time I can usually find a quiet hour for my own work. Often I schedule my writing into a block where nothing else is going on. When it’s on my calendar, I treat it like any other appointment and keep it. I also like my writing to feel relevant to other parts of my life. I love to read, but reading can be a lonely experience. There is nothing I like more than seeing someone reading a book I have read and starting a conversation with them. However, all too often I finish a great book and want to talk about it, only to find that I know no one who has read it. Writing can become a platform to host a conversation with myself about my learning. Writing a book about a huge topic like loneliness is hard for many reasons, but one main problem is that there is too much material. We know too many stories, too many teachings, too many examples to go into one book. To combat this, I turn to my reading. When something I learn or a character I encounter that is on a topic I am exploring stays with me for more than a day or two it deserves a place in the book. And since, in that moment, it is the thing I am the most excited by, I write that section of the book immediately. The Jewish tradition focuses a great deal on mindfulness, yet we live in a world that makes it difficult to slow down, rejuvenate ourselves, and relax. You're known for being a voracious reader (and an excellent rabbi), so let me ask you: How can we as readers incorporate mindfulness into our literary lives? In reading this question, two things come to mind. First, mindfulness is all about non-judgment. We meditate, not to clear our mind, but to learn to forgive ourselves for not being able to banish our thoughts. The key is to notice when our fears or distractions make their way into our practice and let them go without labeling ourselves as bad for having them. In writing, we often let these same demons get in our way. The key is to notice them, but in that moment of creating, let them go so they will not stand in our way. Second, reading can also help us feel less alone. In a 2014 essay entitled “Make This Not True” Wyatt Mason explored the reasons why many enjoy reading the novelist David Foster Wallace. Mason explains that so many of us turn to literature to combat our loneliness. Though literature may have multiple approaches to answering our most fundamental questions about isolation and connection, Foster Wallace has a special place in answering this query. For those readers familiar with the author’s approach, David Foster Wallace is incredibly difficult to read. To make it through a book like Infinite Jest is a feat, which is why perhaps more than any other author, Foster Wallace’s readers are a community. When you finish his novel, you enter into an elite club of people who have struggled alongside you and prevailed, and though it may not sustain you forever, for at least a short while you are connected and feel less alone. This only works, however, if we keep in mind the community of people that surround our literary endeavors. If you could have dinner with one Jewish thinker/writer, who would it be and what would you hope to discuss with her/him? Though cliché, I would have dinner with Joseph Soloveichik, the author on the most famous book on Judaism and loneliness, The Lonely Man of Faith. The book outlines the two urges each person has; the majestic urge to build and create and the covenantal urge to connect and be seen. Loneliness exists when we feed our majestic selves while neglecting our covenantal selves. I completely agree with Soloveitchik’s premise and this basic teaching makes up much of the framing for my book. However, The Lonely Man of Faith is a book of philosophy; it was never meant to be helpful in the practical sense. My book is, in part, a response to his work and tries to explain practically how we might feed our covenantal souls. I would love to know what he thinks of my ideas and I would love to hear his own. Sadly, Rabbi Soloveichik has long since died. But he was a prolific teacher and writer so I hope to get a better sense of him through his many other works. Find Marc's book on IndieBound and Amazon.